So, silent Gareth, he of the Twitter account that by words sent since Far West funded over 4 years ago could probably add a couple of completed chapters to the book, hasn't updated the status of the Far West project on Kickstarter since January 29th, 2016. That's a hair over 2 months for those playing along at home. 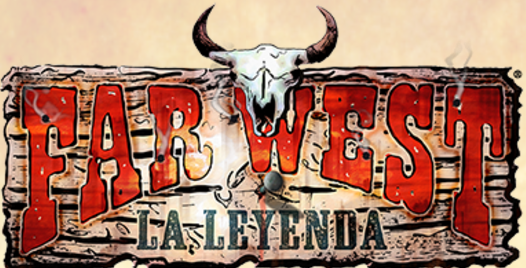 Yep, there's a Spanish Far West that's finishing up (more like a 2nd edition, as this game first came out in the 90s). Any bets on which Far West gets to the finish line first? Any of his pets die lately? That's always a good standby excuse. Is the car he wrecked the one that the kickstarter paid for? I'm still waiting for my Buckaroo Bonsai RPG. You know what, like myself, Skarka has health issues and it can take its toll. Sure, excuses have been powerful with this one, but the money is already spent. Would I like to see my copy of the BB RPG? Sure, but it's not like the $50.00 was going to put my kid through college or anything.